The patient is an unnamed man in his 20s living in Rome who lost the lower part of his arm following an accident, said Silvestro Micera of the Ecole Polytechnique Federale de Lausanne in Switzerland. The wiring of his new bionic hand will be connected to the patient’s nervous system with the hope that the man will be able to control the movements of the hand as well as receiving touch signals from the hand’s skin sensors. Dr Micera said that the hand will be attached directly to the patient’s nervous system via electrodes clipped onto two of the arm’s main nerves, the median and the ulnar nerves. This should allow the man to control the hand by his thoughts, as well as receiving sensory signals to his brain from the hand’s sensors. It will effectively provide a fast, bidirectional flow of information between the man’s nervous system and the prosthetic hand. “This is real progress, real hope for amputees. 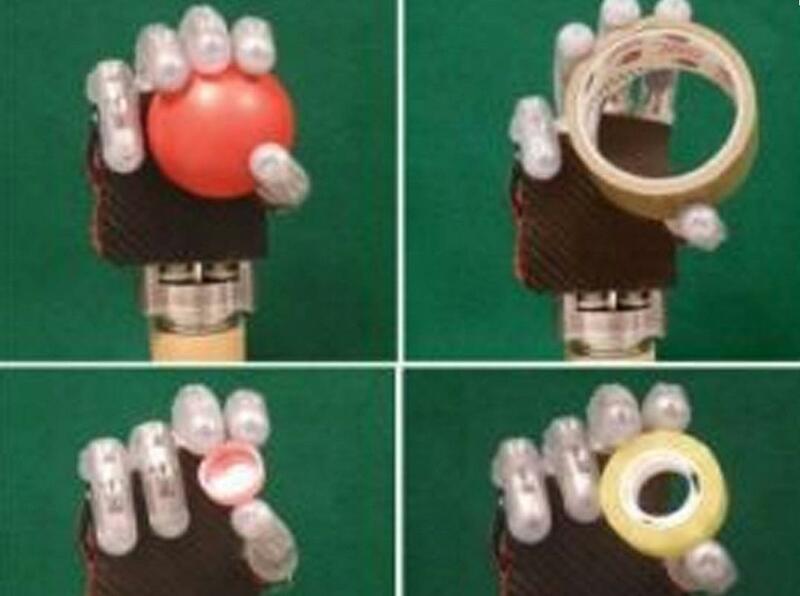 It will be the first prosthetic that will provide real-time sensory feedback for grasping,” Dr Micera said. “It is clear that the more sensory feeling an amputee has, the more likely you will get full acceptance of that limb,” he told the American Association for the Advancement of Science meeting in Boston. “We could be on the cusp of providing new and more effective clinical solutions to amputees in the next year,” he said. An earlier, portable model of the hand was temporarily attached to Pierpaolo Petruzziello in 2009, who lost half his arm in a car accident. 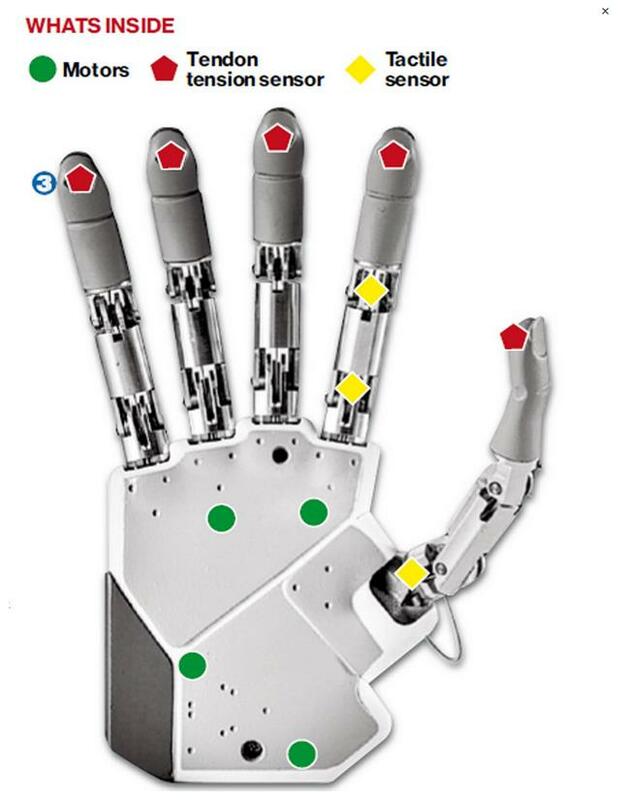 He was able to move the bionic hand’s fingers, clench them into a fist and hold objects. He said that he could feel the sensation of needles pricked into the hand’s palm. However, this earlier version of the hand had only two sensory zones whereas the latest prototype will send sensory signals back from all the fingertips, as well as the palm and the wrists to give a near life-like feeling in the limb, Dr Micera said. “The idea would be that it could deliver two or more sensations. You could have a pinch and receive information from three fingers, or feel movement in the hand and wrist,” Dr Micera said. “We have refined the interface [connecting the hand to the patient], so we hope to see much more detailed movement and control of the hand,” he told the meeting. 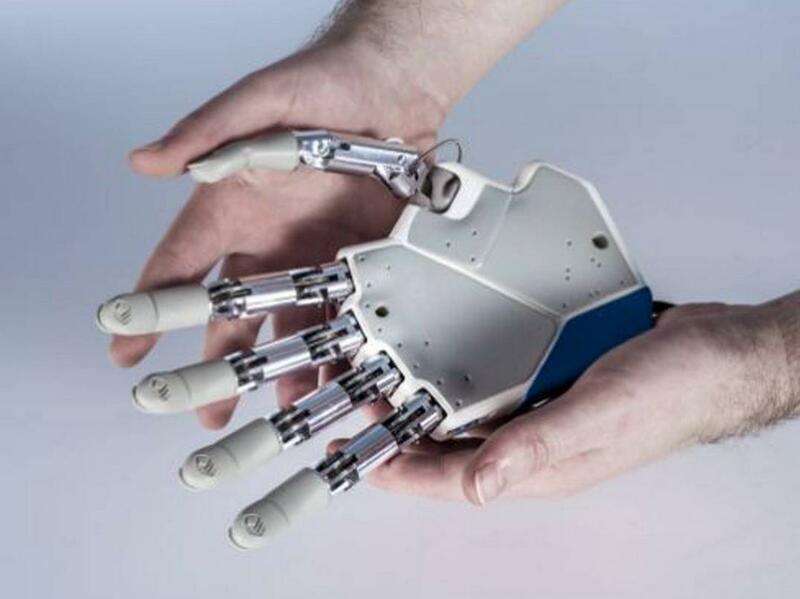 The plan is for the patient to wear the bionic hand for a month to see how he adapts to the artificial limb. If all goes well, a full working model will be ready for testing within two years, Dr Micera said. One of the unresolved issues is whether patients will be able to tolerate having such a limb attached to them all the time, or whether they would need to remove it periodically to give them a rest. Another problem is how to conceal the wiring under the patient’s skin to make them less obtrusive. The electrodes of the prototype hand to be fitted later this year will be inserted through the skin rather than underneath it but there are plans under development to place the wiring subcutaneously, Dr Micera said.